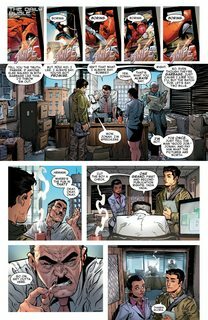 Amazing Spider-Man – Renew Your Vows Vol. 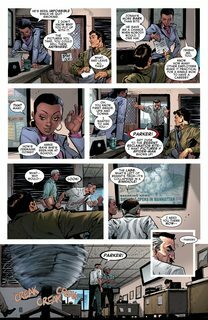 2 #1 – 23 (2017-2018) : A Marvel NOW! series. From the pages of the alternate reality first seen in Amazing Spider-Man: Renew Your Vows Volume 1, comes an all-new ongoing series! The Parker clan web-slings and wall-crawls its way into your hearts! Life is good for husband and wife Peter Parker and Mary Jane: Their daughter, Annie, is their pride and joy, they’re both working and (barely) making ends meet, they’re keeping the streets of New York City safe from super villains – you know, normal, everyday stuff. 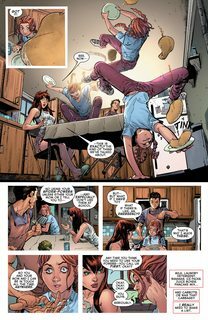 Oh, did we mention MJ and Annie have super-powers just like Peter? Being Spider-Man just became a family affair!